2016 to 2017: Breakdowns to Breakthroughs! Breakthrough Communities had remarkable success in 2016 , anchoring our work in Oakland, California and the greater San Francisco Bay Area, our home region. From our local roots, we’ve inspired global impact by sharing our work as invited presenters in London, Amsterdam, and Mexico, as well as in numerous sister “regional hubs” of the United States. 2017 presents unprecedented challenge, and there is no better time than now for our book, The Earth, the City, and the Hidden Narrative of Race, and its accompanying Learning Action Guide, to be coming out. This work builds upon the tools and knowledge we have gathered over a lifetime of experience working with community groups and with groundbreaking coalitions on a regional scale. Our work is informed by the liberation movements around the world. To keep this important work going! these vital initiatives. Every dollar you can contribute helps us build. No amount is too small. Announcing a book 50 years in the making! We are thrilled to announce that Carl Anthony’s latest work, The Earth, the City, and the Hidden Narrative of Race: Discovering New Foundations for the Great Work of Our Times (“ECR”), will be published by New Village Press in 2017. Fifty years in the making, this book outlines the inextricable link between environmental degradation and social justice. 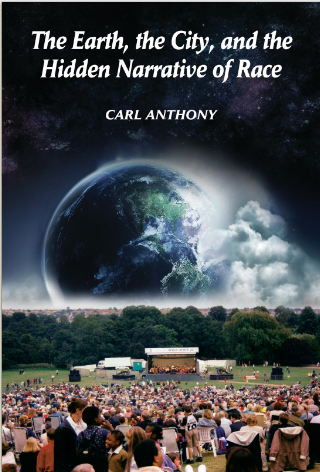 The book places the struggle for social and racial justice in the context of the emerging universe story. This larger story includes a narrative about the origins of the natural world, the evolution of humanity, and our current crisis of a changing climate. With the book finished, we are exploring partnerships for its rollout in selected metropolitan areas across the country, including New York City, Washington, D.C., Atlanta, Chicago, Denver, Seattle, St. Paul, and of course our own San Francisco Bay Area. This rollout plan includes community mobilizing events and presentations to be held at community organizations, universities, and bookstores. Radio and television interviews and lectures are also planned. The ECR book, as well as our Learning Action Guide (see below), contains many iconic stories and media-rich teaching tools. The following video clip depicts one of these teaching tales—a story fragment about the women of the ancient Niger River, who built a mosque and sacred temple using music, earth wisdom, and community. 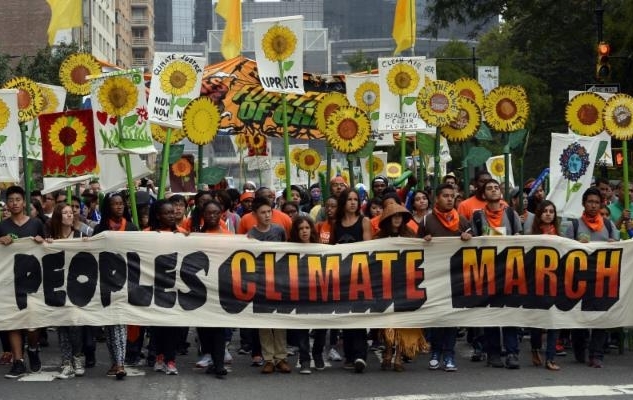 The Climate Justice Learning Action Guide builds on real-world learning. Dr. Paloma Pavel and Carl Anthony have been working with Louise Music and Trena Noval (of the Integrated Learning Specialist Program) and Karen Monroe (superintendent) at our local Alameda County office of Education (ACoE) to produce the All IN Learning Action Guide for Climate Justice, a companion to the ECR book that provides a blueprint for community action. This curriculum is intended to ignite young people into action as rapidly and effectively as possible, informed by the leadership and community mobilization principles discussed in the ECR book. It is designed for educators (K-12 as well as universities) and for community organizers and leaders. 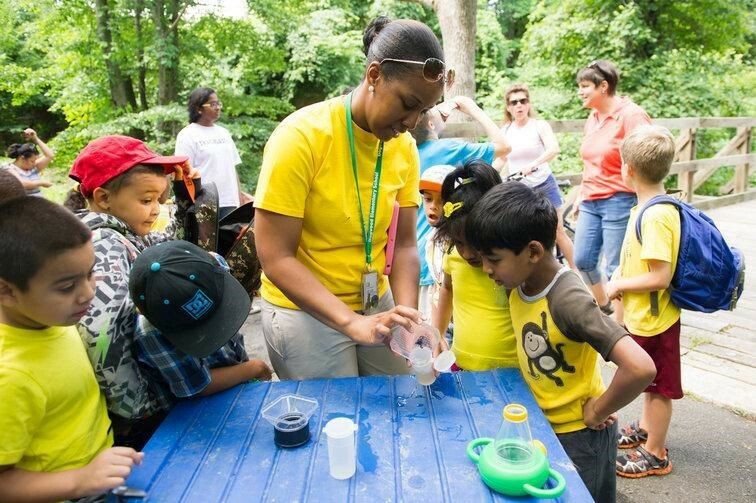 In August, Breakthrough Communities presented its vision to a full house at Oakland’s Chabot Science Center, as part of ACoE’s annual “Inventing our Future” leadership summit for educators. The three-day event was packed with educators eager to incorporate our action guide into their curriculum. 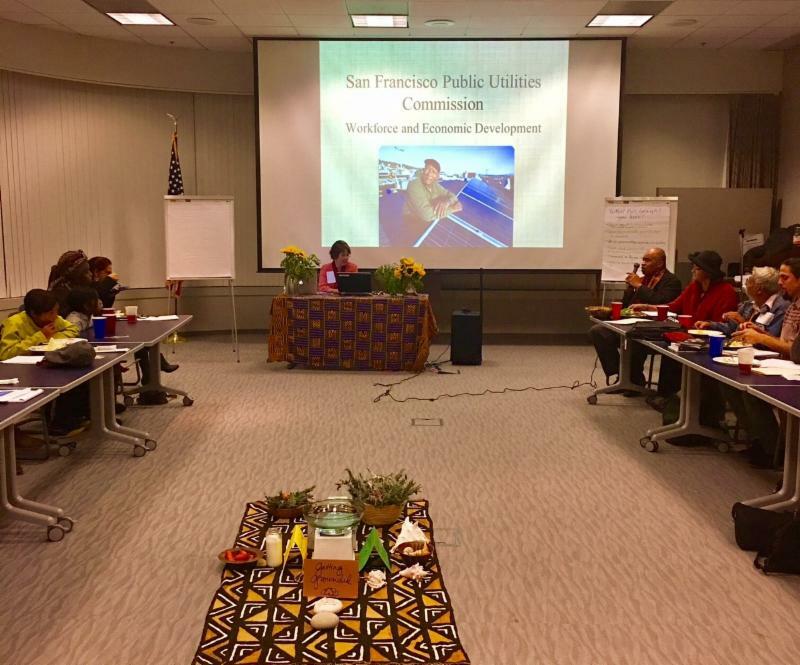 After our exciting preview at the leadership summit, Breakthrough Communities held two follow-up meetings with teachers, at the California Humanities Council in September and East Bay Municipal Utilities District in November. The group generated local solutions to climate change, which will be presented as a Gallery of Solutions in March 2017, in conjunction with ACOE’s “Art IS Education” exhibit that includes eighteen Alameda County school districts showcasing the power of youth learning in and through the arts. ABOVE: 1 - Launching our curriculum with ACoE. 2 - Carl Anthony, Paloma Pavel, and Nate Ivy (ACoE). 3 - Robin Freeman (Merritt College), Mahassan Abdullah (Community Leader), Emily Zukerberg (Breakthrough Communities). Please mark your calendars! Our next “think-and-do tank” meeting is Thursday, February 9, 2017, from 4:00 to 6:30 p.m. We invite all educators, students, and other interested learners in the Bay Area to come out and join us. CLICK HERE to RSVP to Emily. and hardest by its impact. of the climate crisis throughout their lifetimes. 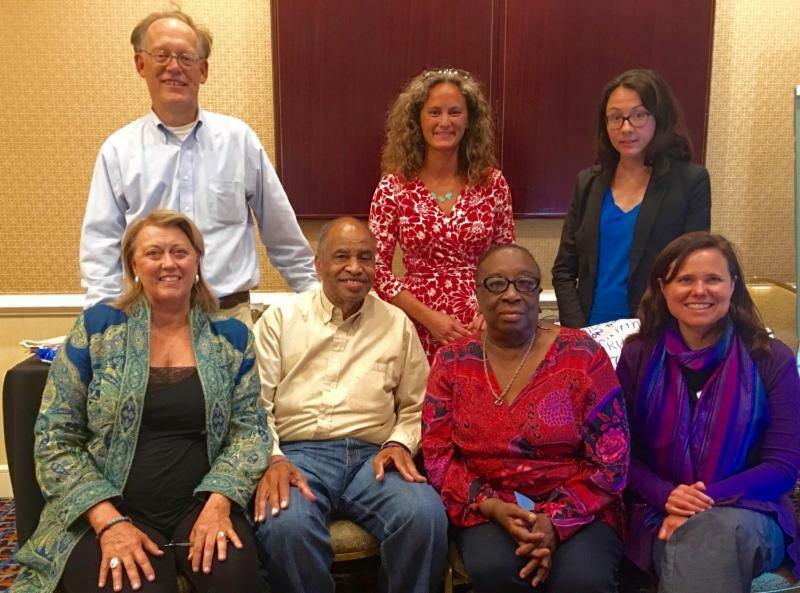 As part of the Resilient Communities Initiative (RCI), Breakthrough Communities made history in September of 2016 by bringing an equity lens to the planning and implementation of the statewide California Adaptation Forum (CAF) proceedings in Long Beach. By working at the decision-making table from the early planning phases with our former RCI member Nile Malloy (currently of Neighborhood Funders Network), we proposed a checklist for equity in planning as well as criteria for specific programs. Our influence included Climate Justice proposals and social equity selection criteria, and a plenary session focused on climate justice. One result of this work was a preconference workshop for agencies on community problem solving, led by RCI members Carl Anthony and Paloma Pavel of Breakthrough Communities, Ms. Margaret Gordon of West Oakland Environmental Indicators Project (WOEIP), and Kirsten Schwind of Rooted in Resilience. Participants included Professor Abigail Reyes and Kimberly Serrano of the U.C. Irvine Sustainability Initiative. 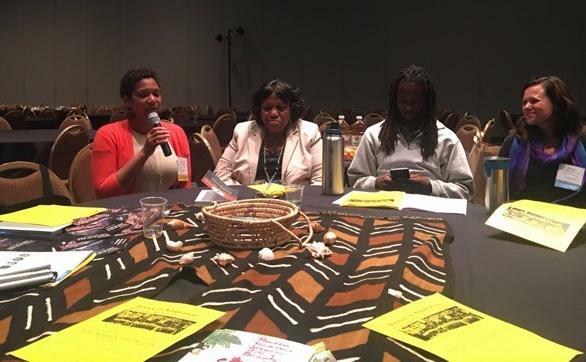 Other events led by RCI member organizations included a workshop on water led by the Environmental Justice Coalition for Water and a Partnering Agreement workshop led by Rooted in Resilience and WOEIP. We were pleased that Shamar Bibbins from the Kresge Foundation was able to join us for the closing events. In addition to the formal program, Breakthrough Communities hosted two equity lunches and a closing assessment of lessons learned for social equity. We look forward to building a social justice approach to climate adaptation and community engagement. There were vivid lessons along the way, including the union dispute with the host hotel. Although the conference was not cancelled, CAF worked with UNITE HERE on a series of letters to Renaissance Hotel management, their ownership group, and Marriott corporate leads. These letters focused on detailing the ways in which the ongoing labor dispute (and the hotel’s decision to hide the dispute from attendees) affected our event and our community. CAF invited UNITE HERE to use a table at the convention center to share information and materials, and the California Environmental Justice Alliance chose to hold their workshops and presentations at the convention center across the street. RCI is a regional network of community-based nonprofit organizations representing nine Bay Area counties. We work across boundaries to build the power of our region. We look forward to working closely with Eco-Adapt and the Local Government Commission to ensure social equity values are woven into the upcoming National Adaptation Forum, to be held in St. Paul, Minnesota on May 9th through 11th, 2017. 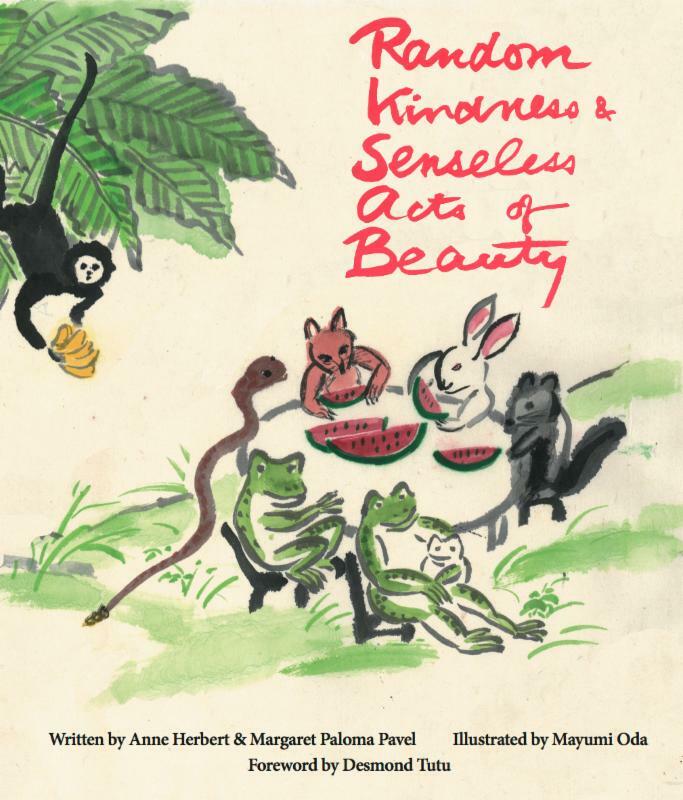 In the 20th Anniversary edition of Random Kindness and Senseless Acts of Beauty, we have had the opportunity to share our work in bookstores and at conferences. Since its beginning in response to the Rodney King rebellion and the threat of war, Random Kindness has been offering a pathway for unifying our movements and building bridges across divides. For twenty years this book has been igniting and speaking to the roots of our movement. 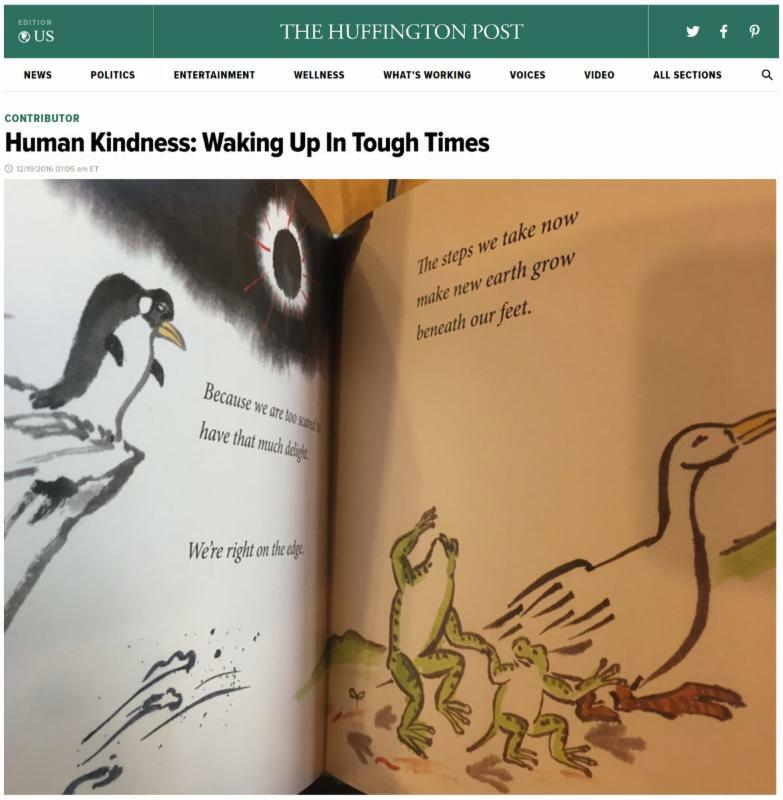 We were also moved that the Huffington Post published an article earlier this month entitled “Human Kindness: Waking Up in Tough Times,” which featured the book, including excerpts and a mention of Maria Shriver’s video reading. CLICK THE IMAGE BELOW to read the story. Send Us Your Random Kindness Stories! As part of Black History Month and National Random Kindness Day (February 17), we invite you to EMAIL US YOUR FAVORITE STORIES for our annual 2017 Random Kindness Community Resilience Leadership Awards. Breakthrough Communities was honored as a part of the Resilient Communities Initiative to be working on the Adapting to Rising Tides (ART) Project of the San Francisco Bay Conservation and Development Commission (BCDC). The BCDC is a California state planning and regulatory agency with regional authority over the San Francisco Bay, the Bay’s shoreline band, and the Suisun Marsh. BCDC was created in 1965 and is the nation’s oldest coastal zone agency. Its mission is to protect and enhance the San Francisco Bay and to encourage the Bay’s responsible and productive use for this and future generations. Its authority is found in the McAteer-Petris Act, the San Francisco Bay Plan, and other special area plans and laws and policies. Breakthrough Communities’ participation in the ART project resulted in BCDC including in their November “Policies for Rising Bay” report the option of creating a Regional Resilience and Adaptation Plan. The major concern when the McAteer-Petris Act was passed was protecting the bay from aggressive and inappropriate human development. The concern today is that the bay level is rising as the result of global warming and may be vulnerable to new conditions caused by climate change. 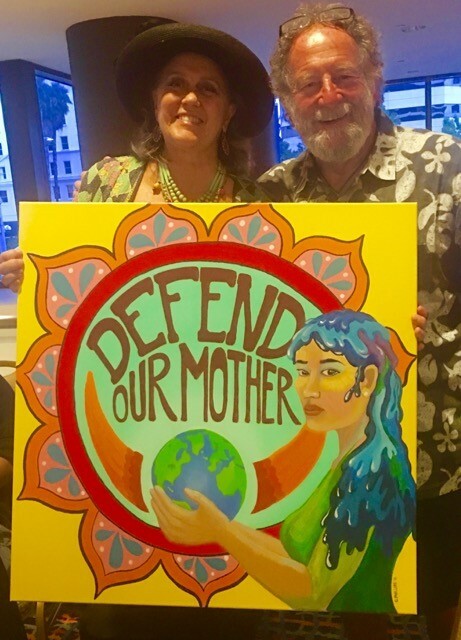 There are small and low-income communities located on the bay that are unprotected from this rise, often because they are not situated adjacent to areas that compel shoreline protections. Breakthrough Communities looks forward to participating in the development of this Regional Resilience and Adaptation plan, which would provide an opportunity to systematically address the current limitations on protecting small and disadvantaged communities. Breakthrough Communities attended the International Big History Association event at Amsterdam University, July 14–17, 2016.  Big History is an emerging academic discipline which examines history from the Big Bang to the present. Using a multidisciplinary approach based on combining numerous disciplines from science and the humanities, Big History explores human existence in the context of this bigger picture. It integrates studies of the cosmos, Earth, life, and humanity, using empirical evidence to explore cause-and-effect relations. Our presentation, “The Hidden Narrative of Race: Amsterdam as Portal to the Modern World,” allowed us an opportunity to explore how the slave trade laid an important foundation for the creation and development of the modern world. 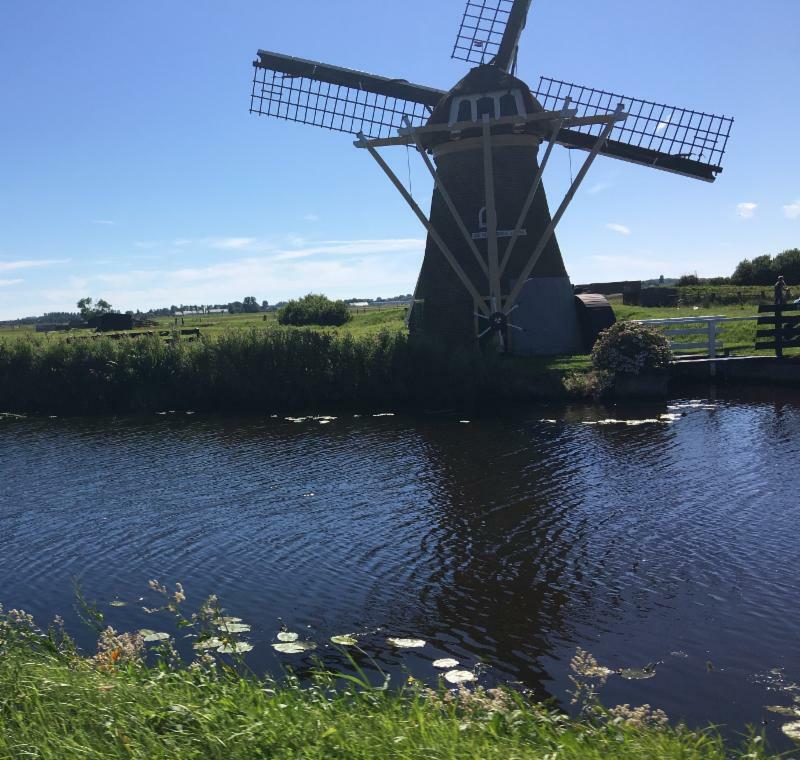 Just prior to the event, Dr. Pavel gave a presentation entitled “Climate and Social Justice: Creating a New Cultural Dream” at the International Association for the Study of Dreams, also in the Netherlands. While in Amsterdam we met with African-Dutch scholar Jennifer Tosch, one of the publishers and editors of the Amsterdam Slavery Heritage Guide, which is an important resource for The Earth, the City, and the Hidden Narrative of Race. She guided our Black Heritage Slavery Tour, which included the International Stock Exchange and the East and West Dutch Indies companies and embodied the hidden connections of slavery in Amsterdam. In many ways, Amsterdam is like cities in the northern United States, where popular culture confines slavery to the plantations of the South without acknowledging the critical role played by trade connections in the north. This tour wove the institution of slavery—which underpinned much of the wealth of Amsterdam in the seventeenth and eighteenth centuries—with the more well-known aspects of Amsterdam’s history. The bas-relief sculpture below documents an example of the African slave presence embedded in the architectural detail of residences and businesses in Amsterdam. Understanding this inclusive and comprehensive history of Dutch involvement in slavery is not just about the past; it is also about the future, since the Dutch West Indies and Dutch East Indies Trading Companies are founding institutions of our current global economic system. 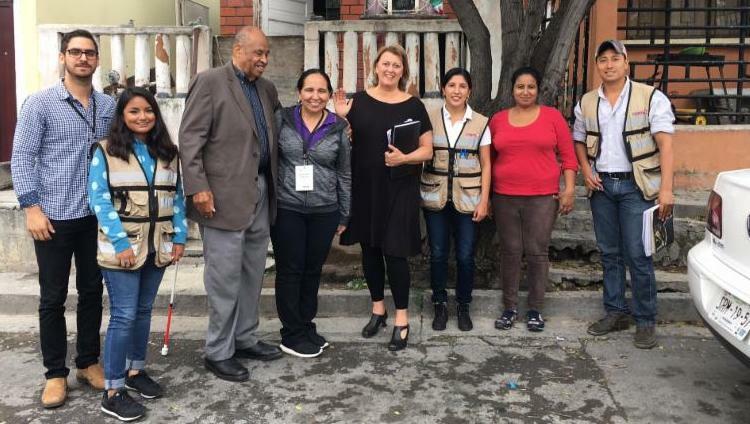 In October, Breakthrough Communities gave a keynote speech to an international audience of thousands at the Encuentro Mundial De Valores (the Eighth Worldwide Meeting on Human Values) in Monterrey, Mexico. We were pleased to join with international presenters throughout the world, including our colleague Marilyn Turkovich, founder of Compassionate Cities. We were thrilled to also visit an historic ecovillage with caves, as well as the community resilience development group Aliados Contigo, our sister organization in Nueva Leon. We look forward to future collaboration with Consuelo Bañuelos, Aliados Contigo Director, and her compañeros. 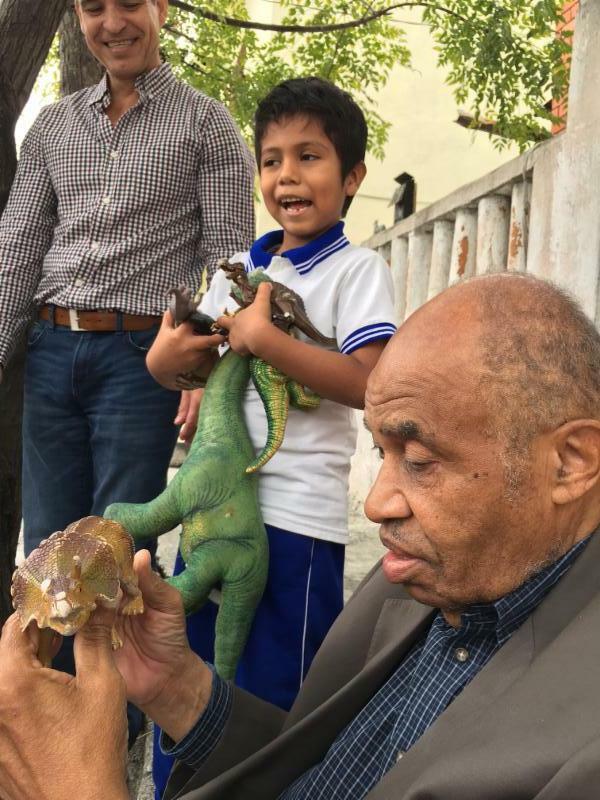 In the photo below, an emerging young leader in the Monterrey community offers Carl a lecture about Big History. After having presented on this topic to Encuentro’s attendees, we were delighted to see this young man from the barrio sharing a similar message ! 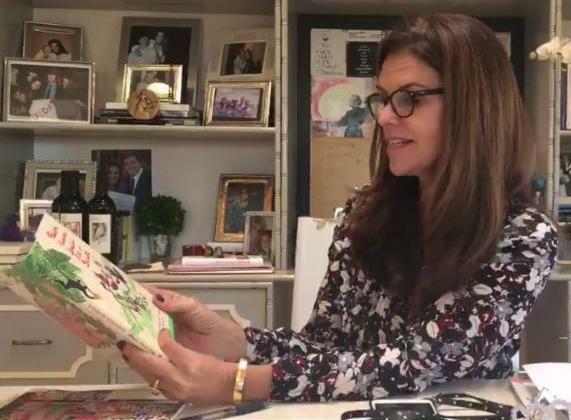 Our gratitude to Encuentro founder Dr. Cristina Gonzalez, for her huge vision and superb work in bringing social innovators together in Nueva Leon! We were also pleased to join colleagues in the United Kingdom. 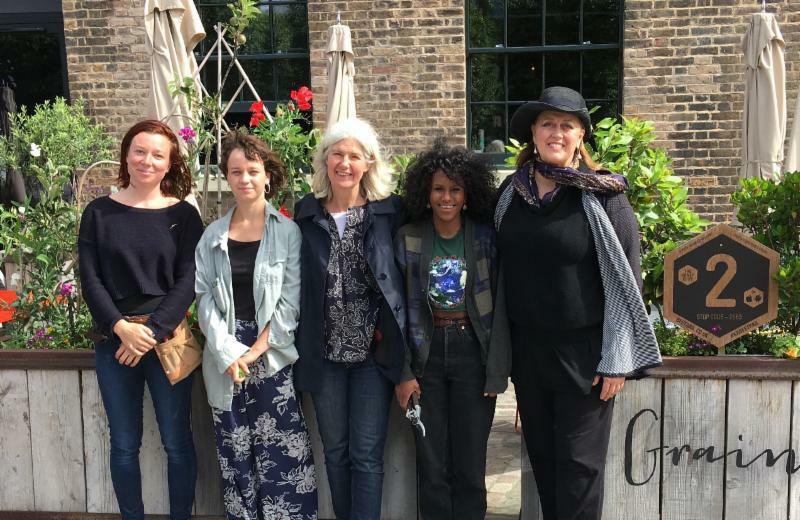 One highlight of our journey was Global Generation, a community-based organization in King’s Cross, London. We were introduced to its founder Jane Riddiford through our universe story colleague at Yale University, Dr. Mary Evelyn Tucker. Global Generation is using land-based activities and the metaphors of ecological and cosmic processes to build community between each other and the natural world. 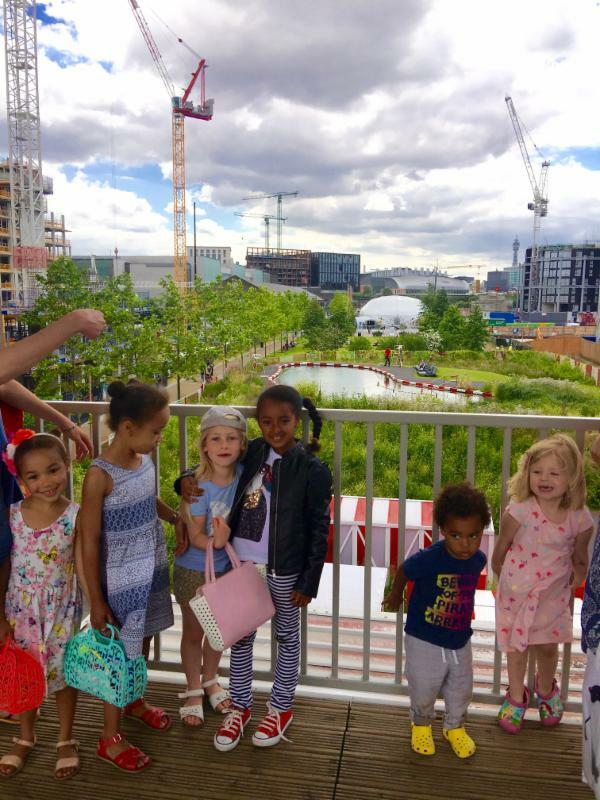 They work primarily with young people and families, and we had the opportunity to meet some of these young people when we went to view their remarkable Skip Garden project. Skip Garden is “an urban oasis with a twist”—a portable garden that moves to different locations on the King’s Cross site as and when land is sold and built on. 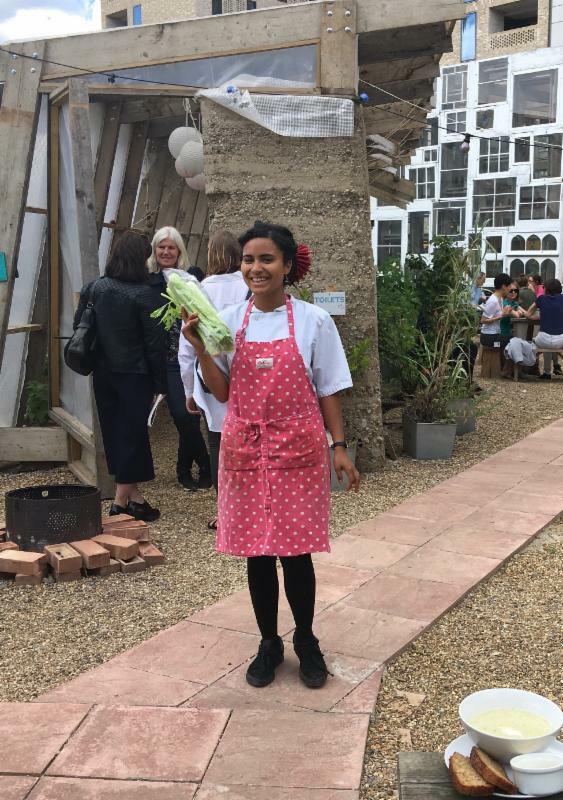 It is a garden of a thousand hands, built by young people and local business volunteers, together creating a new and sustainable community. 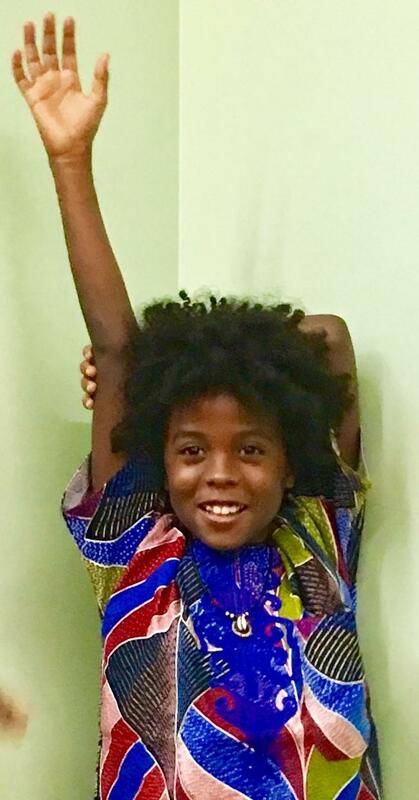 The video above features Hale Debebe Dessalegne, one of Skip’s new youth leaders, discussing the pervasive disconnect from each other and our environment, which lies at the root of many of our planet’s most pressing problems. 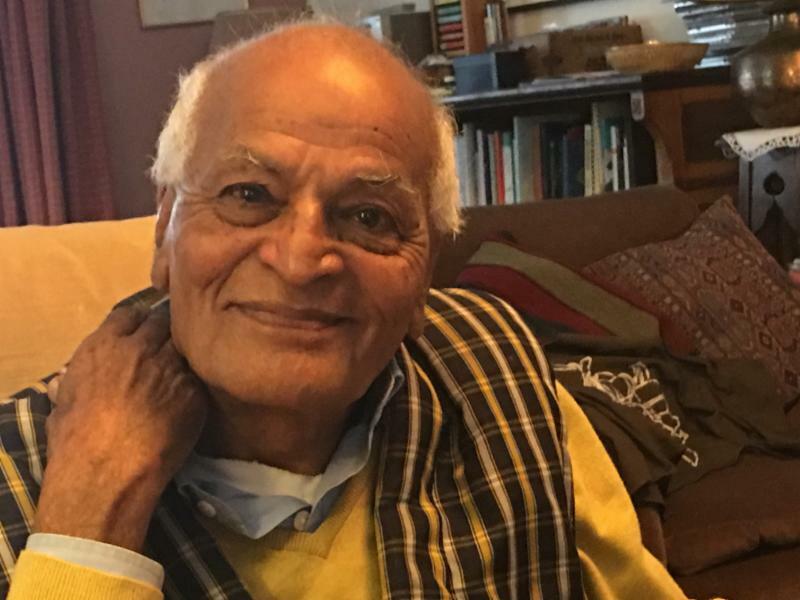 Finally, we met with the venerable founder and president of Schumacher College and editor of Resurgence magazine, Satish Kumar, and his wife June Mitchell. An environmental education institution in Devon County, Schumacher offers the practical skills and strategic thinking required to face the ecological, economic, and social challenges of the 21st century. 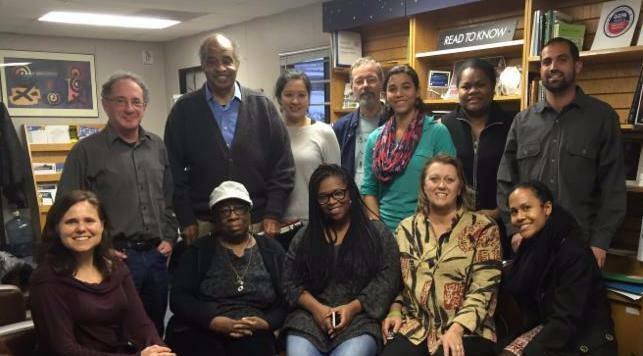 Together we explored the possibility of our Breakthrough team coming to Schumacher to teach a course on regional coalition building for equity and environment strategies with a just transition. 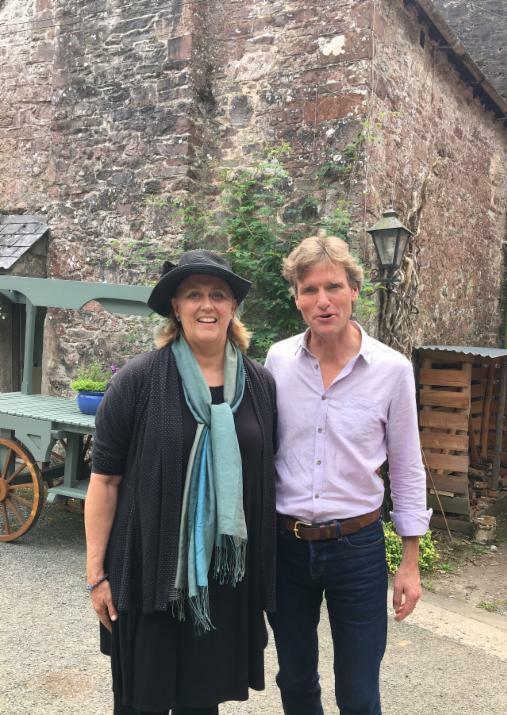 We look forward to collaborating with old and new friends, including Head of College Jon Rae and Rachel Fleming, Communications and Development Manager. 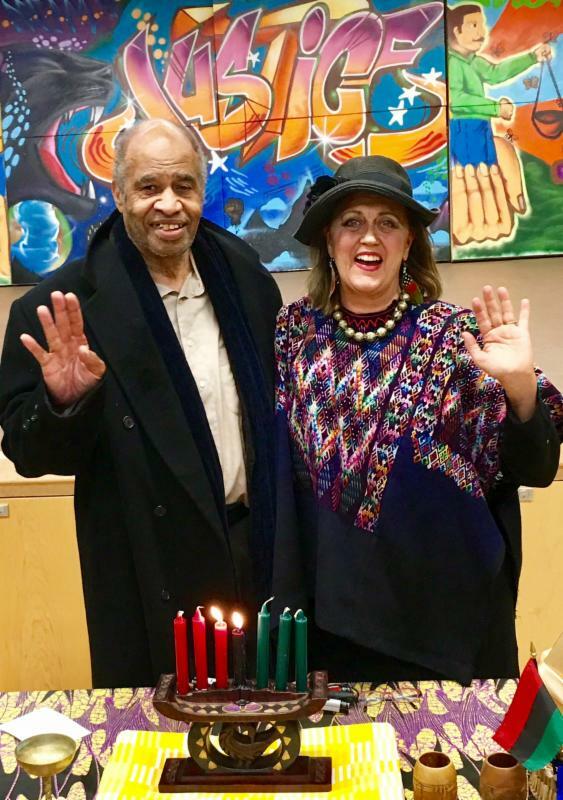 Carl and Paloma and the Breakthrough Communities team are committed to navigating the turbulence of 2017 with all of you ... come hell or high water. The image above is taken from Blue Mountain Lake in New York’s Adirondack mountains. We are grateful for having been awarded a month-long writing residency this fall at the Blue Mountain Center for writers, artists, and activists.